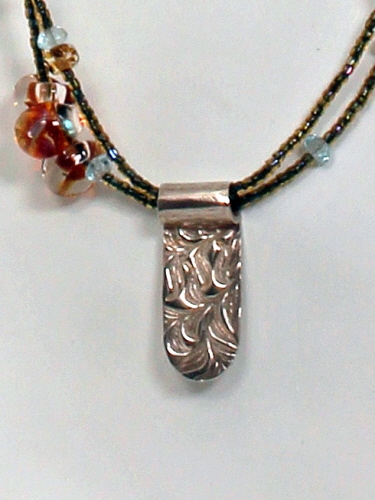 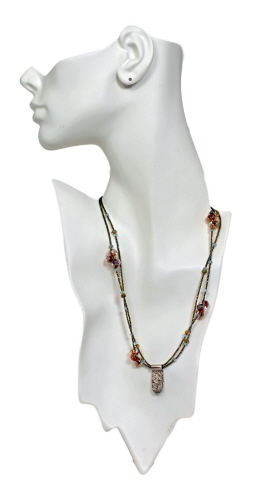 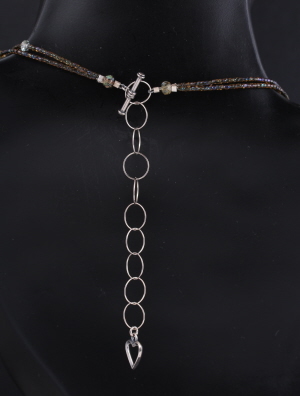 Hand fabricated, torch fired, art clay silver drop, by Michele, is the focal of this two-strand beaded necklace. 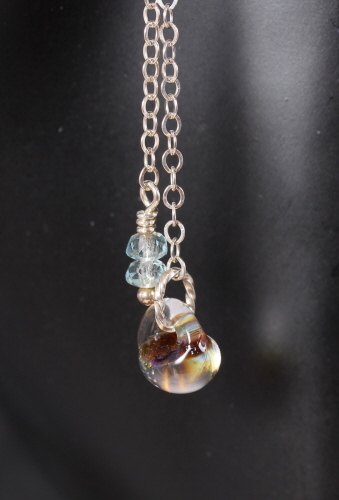 Shades of amber and aquamarine predominate in these natural aquamarine bead chips, handmade lampworked boro (borosilicate) glass teardrop beads, by Unicorne Beads, seed beads and larger glass beads which complete this necklace design. 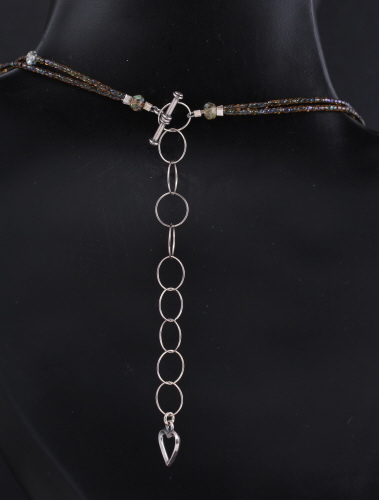 Sterling silver toggle clasp and chain makes this necklace adjustable from 18¼ to 20¾ inches, and virtually any length in between. 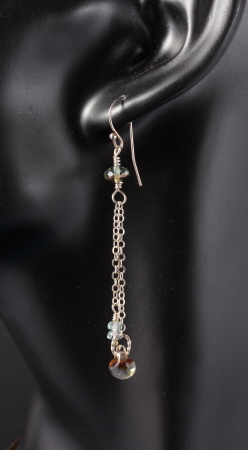 Earrings measure almost 3 inches from top of earwire to bottom of dangle and weigh 0.05 oz each. Earrings are available as an additional purchase.